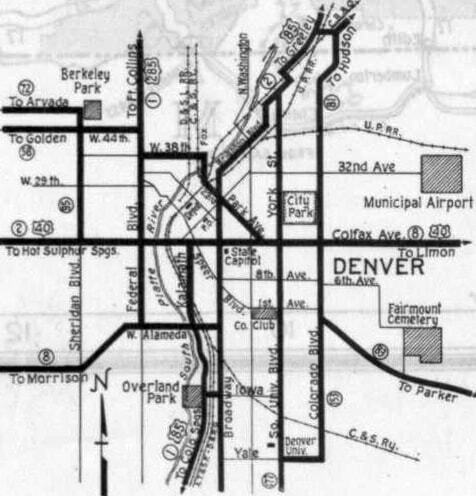 US 285 [i] was among the original 1926 US highway routes; it essentially followed what is now US 287 between Denver and Laramie. 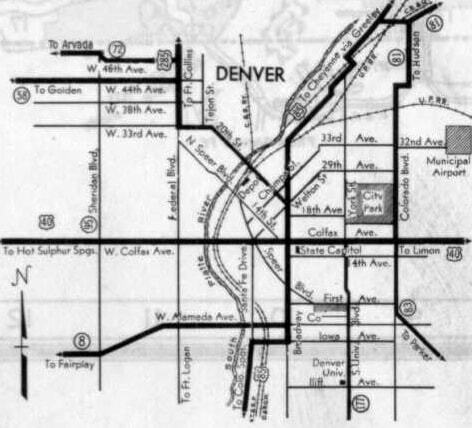 But in Laramie, traffic did not come in on 3rd Street (as US 287 does today). 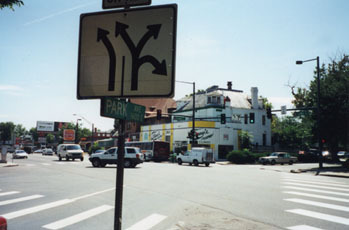 Rather, US 285 used Fort Sanders Road on the south end of town. 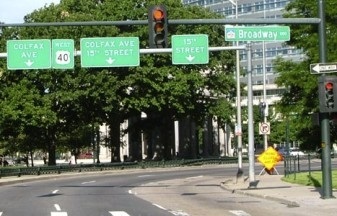 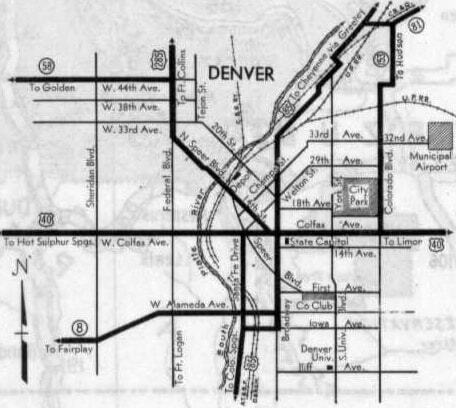 Historically that extended further north, and right about where I-80 is now, it became 2nd Street. 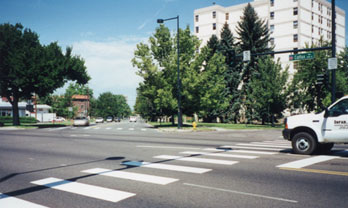 US 285 followed that up to Grand Avenue, then turned east one block, and ended at 3rd, where it had a junction with US 30. 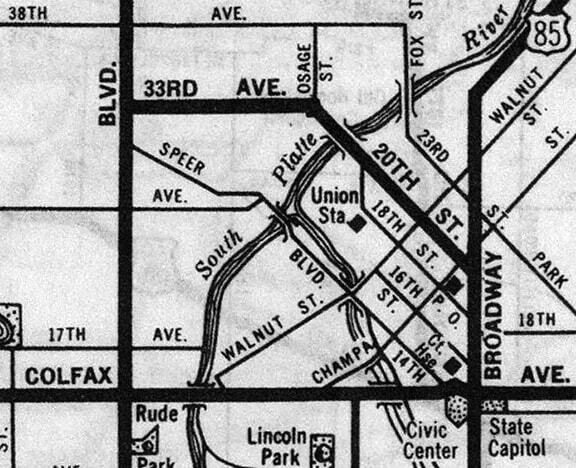 Some maps from the following year (1936) indicated that intersection had become the south end of US 287, but the official state highway map from 1936 showed that the former US 285 between Ft. Collins and Denver had become US 87, and that US 287 ended in Ft. Collins. 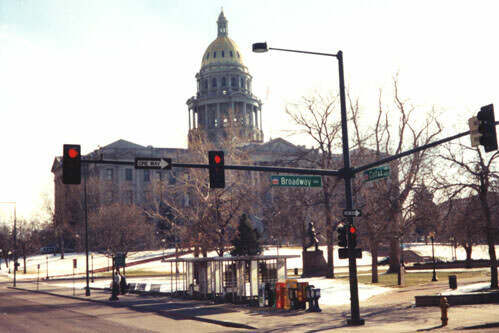 The number "285" had been recycled for a new US route running south and west from Denver: the US 285 familiar to us today. 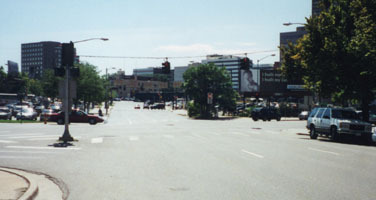 last updated June 29, 2017.